Linda Braddy is Vice President for Academic Affairs at Tarrant County College (TCC) Northeast Campus where she oversees the academic affairs division, including the academic divisions and departments, both transfer and technical programs, the library, and all academic support services. She previously served as Deputy Executive Director of the Mathematical Association of America (MAA) in Washington, D.C. (2012-2016), where she oversaw MAA programs, public policy efforts, the Competitions Department, and the Meetings and Facilities Department. While at MAA, she increased the externally funded programs portfolio from $8 million to $14.5 million. She served as dean of the Division of Health and Natural Sciences at TCC’s South Campus from 2009-2011, during which time she assisted with the transition of the Nursing program to the Trinity River Campus, and subsequently served as dean of the Division of Mathematics and Natural Sciences on South Campus (2011-12). Immediately prior to her tenure at TCC, she was chair of the Department of Mathematics at East Central University (ECU) in Ada, Oklahoma, as well as a tenured, full professor. 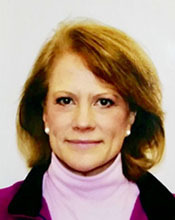 Throughout her tenure at ECU, she directed professional development programs for K-12 mathematics teachers and other grant-funded initiatives to improve the teaching and learning of mathematics, directed initiatives to redesign courses and programs, and won multiple teaching awards at the local and regional levels. She received her Ph.D. in mathematics from the University of Oklahoma and her research area is undergraduate mathematics education. 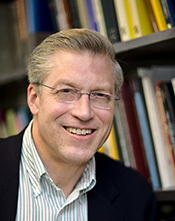 David Bressoud, Director of the Conference Board of the Mathematical Sciences, DeWitt Wallace Professor of Mathematics at Macalester College, and a former President of the Mathematical Association of America. Dr. Bressoud has received the MAA Distinguished Teaching Award and the MAA Beckenbach Book Award for Proofs and Confirmations. He has published seven textbooks and over sixty research articles in number theory, combinatorics, special functions, and mathematics education. David has served as Principal Investigator for two national studies of college calculus: Characteristics of Successful Programs in College Calculus and Progress through Calculus. 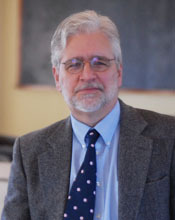 Bob Daverman, Secretary of the American Mathematical Society from 1999 to 2013. After earning a B.A. from Calvin College in 1963, he entered graduate school at the University of Wisconsin where he received a Ph.D. in 1967 with R.H. Bing (member of the National Academy of Sciences) serving as his advisor. Shortly thereafter he moved, with his family, to Knoxville to join the faculty at the University of Tennessee. A world renowned expert in the topology of manifolds, Daverman has authored or co-authored more than a hundred original research articles. Edray Herber Goins, president of the National Association of Mathematicians, Inc., is Professor of Mathematics at Purdue University. After earning a B.S. in Mathematics and Physics from the California Institute of Technology (Caltech) in 1994, he went on to earn a Ph.D. in Mathematics from Stanford University in 1999. He has held visiting positions at Caltech (2001-2004), Harvard University (2000, 2001, 2007), the Institute for Advanced Study (1999-2000), the Mathematical Sciences Research Institute (1999, 2000), and the Max Planck Institut für Mathematik (2001). He joined the faculty at Purdue in 2004, and works in the field of number theory, as it pertains to the intersection of representation theory and algebraic geometry. He has served on the PCMI Diversity Sub-Committee (2010-present) as well as the MSRI Human Resources Advisory Committee (2013-2016). 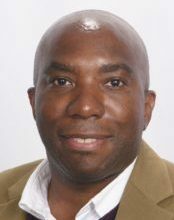 In 2004, Goins was featured in Black Issues in Higher Education as an Emerging Scholar of the Year. Bill Hamilton had a leadership role in the strategic planning efforts to take Inquiry-Based Learning to a national level. He is a veteran of Texas state and local governments with a wide range of public, non-profit management experiences. Bill has over forty years’ experience in Texas government, serving as budget advisor to governors Briscoe, Clements, and White, 1973 to 1986. He was Mayor of Rollingwood, 2010 to 2012, following four City Council terms. 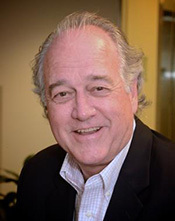 He is president of the Texas Retired State Employees Association, Board Nominating and Development chair of Initiatives of Change USA, and chair of Austin Palmer Drug Abuse Program. He has a Bachelor of Arts in Government and Economics, Austin College, and a Master of Public Affairs, Lyndon B. Johnson School of Public Affairs, The University of Texas at Austin. I am Harry Lucas, Jr.
Harry Lucas, Jr., entered the University of Texas at Austin in 1951, studied under Professor R. L. Moore for two years, and returned to Beaumont where he graduated from Lamar University in 1955. He taught mathematics at Lamar University for four years. After his father’s death he became more involved in the family business of Gulf Coast oil and gas leases, wildcat drilling deals, and royalty investments. 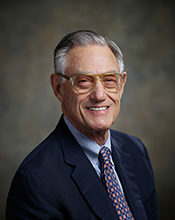 In 1969, he founded The Educational Advancement Foundation as a vehicle for Inquiry-Based Learning and educational reform, and currently supports related projects. Involved in several civil and charitable causes, he was inducted into the Hall of Honor of the University of Texas at Austin College of Natural Sciences in 2001. 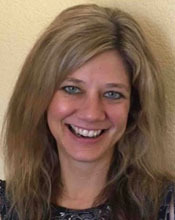 Alison Marr is Associate Professor of Mathematics at Southwestern University in Georgetown, Texas. She teaches a variety of courses in the undergraduate curriculum including Introduction to Statistics, Calculus I and II, Algebraic Structures, and Linear Algebra. She began using IBL methods in her courses after a 2009 workshop and since then has helped organize the annual Inquiry-Based Learning (IBL) conference, became a member of the Journal of Inquiry-Based Learning in Mathematics editorial board, served as Secretary-Treasurer of the IBL Special Interest Group of the Mathematical Association of America, and received an Academy of IBL mini-grant to write course notes for a Special Topics class on Graph Labeling. An active researcher in the field of graph labeling, she has published over 10 articles in various areas of graph theory and is co-author of the book, Magic Graphs. She has a B.A. in Mathematics from Murray State University, a M.S. in mathematics from Texas A&M University and a Ph.D. in mathematics from Southern Illinois University. 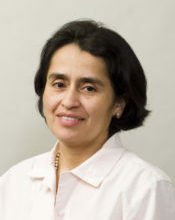 Vilma Mesa is Associate Professor of Education and Mathematics at the University of Michigan, and Faculty Associate at the Center for the Study of Higher and Post-secondary Education at the University of Michigan. She investigates the role that resources play in developing teaching expertise in undergraduate mathematics, specifically at community colleges and in inquiry-based learning classrooms. She has conducted several analyses of instruction and of textbooks and collaborated in evaluation projects on the impact of innovative mathematics teaching practices for students in science, technology, engineering, and mathematics. She served as Associate Editor for the Journal for Research in Mathematics Education from 2000-2004 and is currently serving as associate editor for Educational Studies in Mathematics. She was a research associate at “una empresa docente” a research center in Mathematics Education at the University of Los Andes, in Bogotá, Colombia where she co-authored university textbooks for pre-calculus for engineering and probability and statistics for social science majors. She has published over 40 articles in mathematics education. Prior to her career in education, Mesa was a systems programmer for the ministry of finances in Colombia and for the district of Bogotá, and a computing systems advisor for a large construction and hospitality firm in Colombia. She has a B.S. in computer sciences and a B.S. in mathematics from the University of Los Andes in Bogotá, Colombia, and a master’s and a Ph.D. in mathematics education from the University of Georgia. Victor Piercey received an interdisciplinary B.A. in humanities from Michigan State University in 1997, a Juris Doctor from Columbia Law School in 2000, a M.S. in mathematics from Michigan State University in 2006, and a Ph.D in mathematics from the University of Arizona in 2012. His dissertation was in algebraic geometry. Since completing his Ph.D, he has been teaching at Ferris State University in Big Rapids, Michigan. He was granted tenure in 2017 and is an associate professor in the mathematics department. In 2018, he was appointed Director of General Education. As a member of the mathematics department, his primary work has involved the interdisciplinary development of a 2-semester sequence of general education courses entitled Quantitative Reasoning for Professionals. Developing this sequence involved collaboration with faculty in business, social work, and health professions, funded by the National Science Foundation. He also led the development of the actuarial science program, in which he developed and taught the Theory of Interest course. He is currently working on a faculty learning community to integrating quantitative reasoning and partner discipline content in math courses and in partner discipline courses. 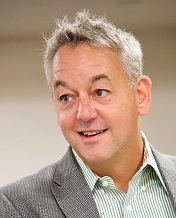 In addition, he is working on developing interdisciplinary opportunities for general education at Ferris State University and a faculty learning community to integrate quantitative His scholarship interests include the intersection of quantitative reasoning with algebraic reasoning, the use of faculty learning communities to increase the scale of innovation, and both the cognitive and affective impact of active pedagogies. His teaching interests include the integration of ethics with mathematics, the use of inquiry-based learning, interdisciplinary collaboration in course design and in teaching, and the use of role-playing simulations similar to Reacting to the Past. He has served as the chair of two Special Interest Groups in the Mathematical Association of America, one dedicated to Quantitative Literacy and the other dedicated to Inquiry-Based Learning (which he helped establish). He has also chaired the Michigan section of the Mathematical Association of America and serves on the board for the initiative for Mathematics Learning by Inquiry. In his spare time, he serves as the treasurer for his local homeless shelter and he reads books on history, particularly Russian and European history. Chris Rasmussen, Ph D., is Professor of mathematics education and Associate Chair in the department of mathematics and statistics at San Diego State University. He received his B.A., M.A. and Ph.D. from the University of Maryland in Mechanical Engineering, Mathematics, and Mathematics Education, respectively. After receiving his undergraduate degree he served as a Peace Corp Volunteer in Sierra Leone, West Africa. He is currently co-Editor-in-Chief of the International Journal of Research in Undergraduate Mathematics Education. His research investigates inquiry-oriented approaches to the learning and teaching of undergraduate mathematics, focusing on how mathematical ideas are developed through student exploration and teacher-student classroom discourse. 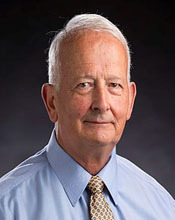 His work in differential equations and linear algebra has led to methodological advances for coordinating individual and collective mathematical progress as well as instructional approaches that begin with students’ informal or intuitive ideas to progressively build more formal mathematics and the role of the instructor in this process. He has also been at the forefront of a national study of successful calculus programs, which has identified a number of programmatic features that are common among the programs identified as being more successful than peer institutions. 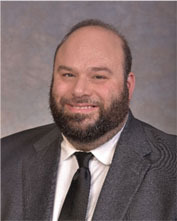 Currently, he is co-PI on two national studies of the Precalculus to Calculus 2 sequence with the goal of better understanding current departmental practices related to these courses and the process of departmental and institutional change and ways that professional organizations can support and help sustain such change. Paul Zorn is a Professor of Mathematics at St. Olaf College and is past President of the MAA. He was also Editor of MAA's expository journal Mathematics Magazine and he served as chair of MAA's Council on Publications. His professional interests include complex analysis, mathematical exposition, textbook writing, and the role of mathematics among the liberal arts. He is also interested in using computer graphics and computer algebra systems to help students learn and explore mathematical ideas. 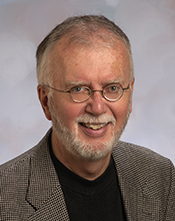 Dr. Zorn has co-authored several textbooks with his St. Olaf colleague, Arnold Ostebee. He earned his Ph.D. at the University of Washington. Jane Long is an Associate Professor of Mathematics at Stephen F. Austin State University. She is currently the chair-elect of the Special Interest Group of the Mathematical Association of America on Math Circles for Students and Teachers and a former Associate Director of the National Association of Math Circles. She is the founding director of the East Texas Math Teachers’ Circle, which has engaged in successful and unique partnerships to provide professional development for teachers in long-term grant projects through federal grant programs such as GEAR-UP and the NSF Noyce Program, and the Texas Regional Collaborative program through Texas’s Region 7 Educational Service Center. She is committed to inquiry-based teaching in her own classes and to provide problem-solving opportunities to people of all ages. Dr. Long received her Ph.D. in algebraic topology from the University of Maryland at College Park in 2008. 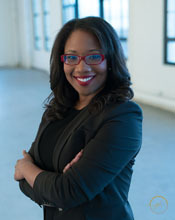 Statistician Talithia Williams is an innovative, award-winning Harvey Mudd College professor, a co-host of the PBS NOVA series NOVA Wonders and a speaker whose popular TED Talk (“Own Your Body’s Data”) extols the value of statistics in quantifying personal health information. She demystifies the mathematical process in amusing and insightful ways to excite students, parents, educators and community members about STEM education and its possibilities. 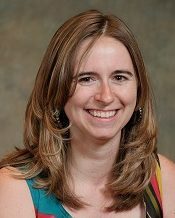 In 2015, she won the Mathematical Association of America’s Henry L. Alder Award for Distinguished Teaching by a Beginning College or University Mathematics Faculty Member, which honors faculty members whose teaching is effective and extraordinary, and extends its influence beyond the classroom. 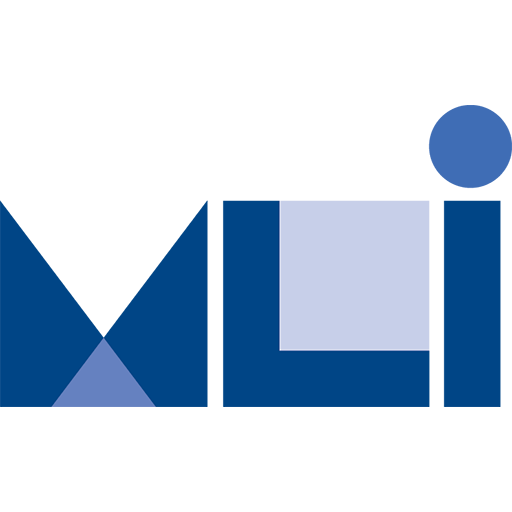 It is this excellence that attracted the attention of online educational company The Great Courses, which selected Williams to provide “Learning Statistics: Concepts and Applications in R,” a series of lessons in which she provides tools to evaluate statistical data and determine if it’s used appropriately. She is the author of “Power in Numbers: The Rebel Women of Mathematics”. 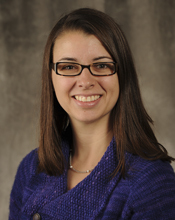 Brianna Donaldson holds a Ph.D. in Cognitive Psychology from Indiana University. Since 2008 she has served as Director of Special Projects at the American Institute of Mathematics (AIM). 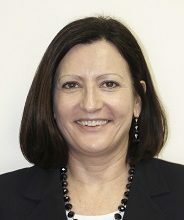 Her previous work has focused on developing programs intended to strengthen the nation’s mathematics education infrastructure, including the Math Teachers’ Circle Network for middle and high school mathematics teachers and the Research Experiences for Undergraduate Faculty program for faculty at primarily undergraduate institutions. She has managed several NSF-funded projects with an education focus, and also serves on the NSF Mathematics Sciences Research Institutes Diversity Committee. She collaborates regularly with mathematics educators and social scientists and has presented at national meetings of the National Council of Teachers of Mathematics, the Mathematical Association of America, and the American Mathematical Society. Bio is currently in progress. Bus Jaco’s mathematical research is in geometry and topology and is best known for the Jaco-Shalen-Johannson (JSJ) Decomposition Theorem, work on normal surfaces, and the discovery of efficient triangulations. He served as Executive Director of the American Mathematical Society (AMS) from 1988 to 1995 and has been recognized as a Fellow of the AMS and a Fellow of the American Association for the Advancement of Science. Recently he has been actively engaged in undergraduate mathematics education reform. Susan Lisheron graduated from The University of Colorado at Boulder and has seven years of experience in foundation administration. She has also worked in many areas of investment management and banking, including marketing, management, and accounting.